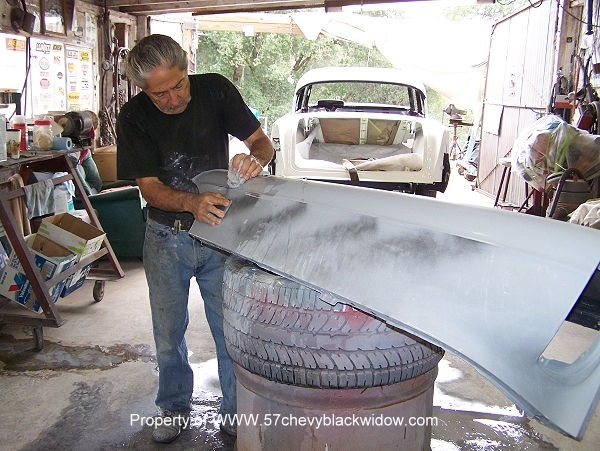 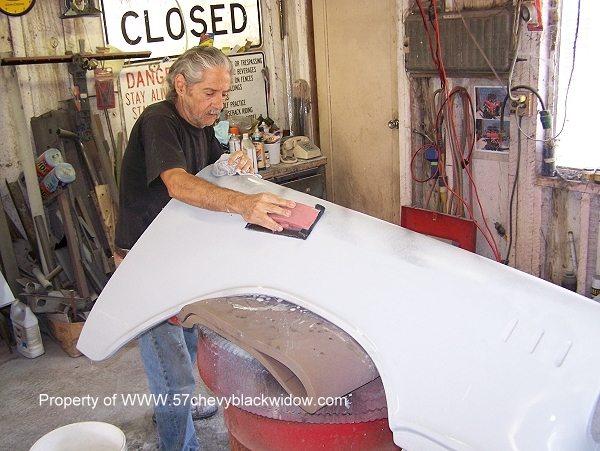 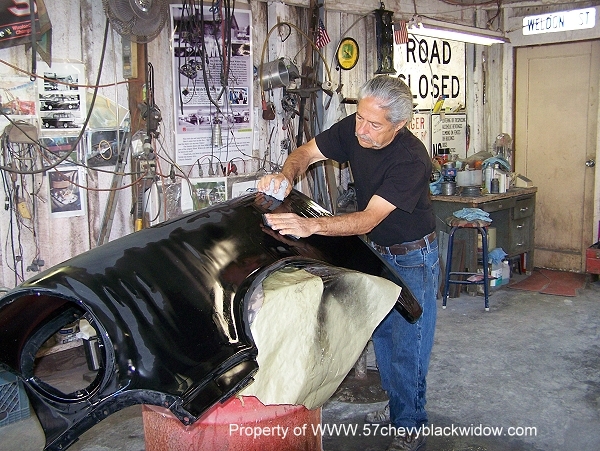 Photos #373 thru #375 show "Old Guy Scott" hand sanding fenders for the last time before painting. 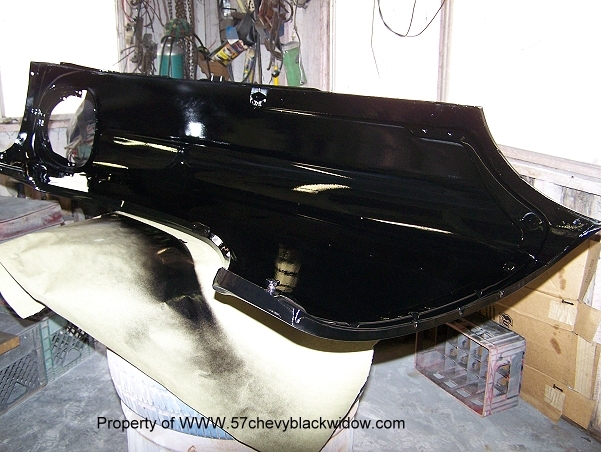 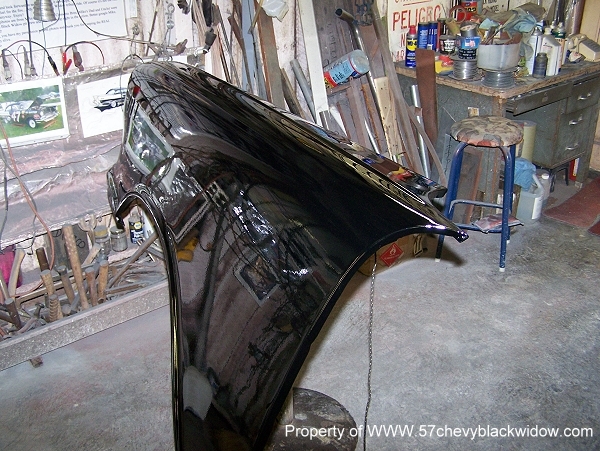 In photos #376 & #377 you see the inside of the fenders being painted. 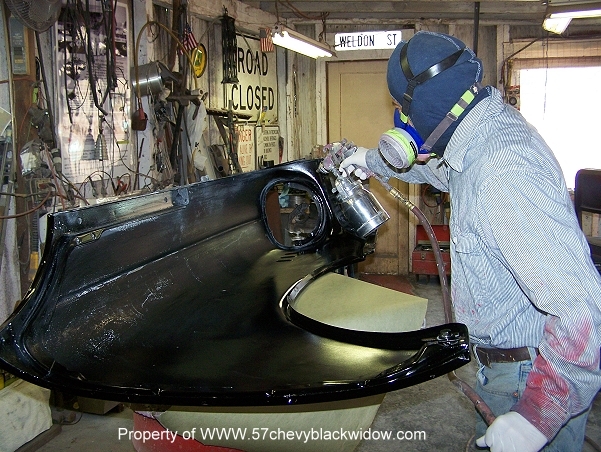 This may not show up much, but it's the right way to do a top quality job. 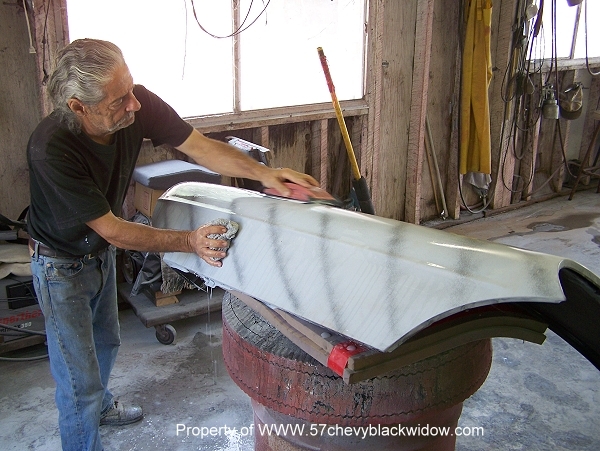 Photo #378 shows "Old Guy Scott" wet sanding the first paint application with 400 grit paper prior to the final painting. 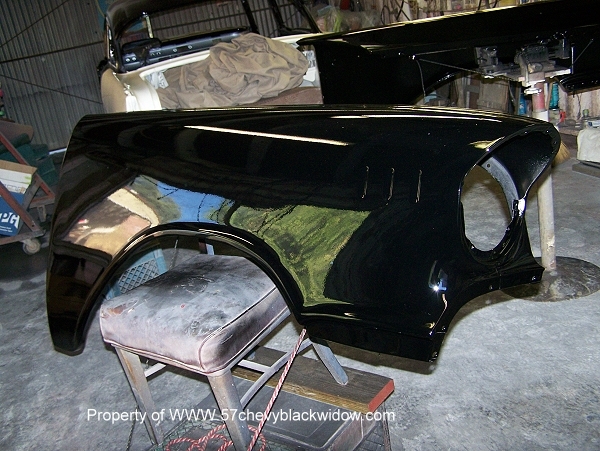 Photos #379 & 381 are the final painting results. 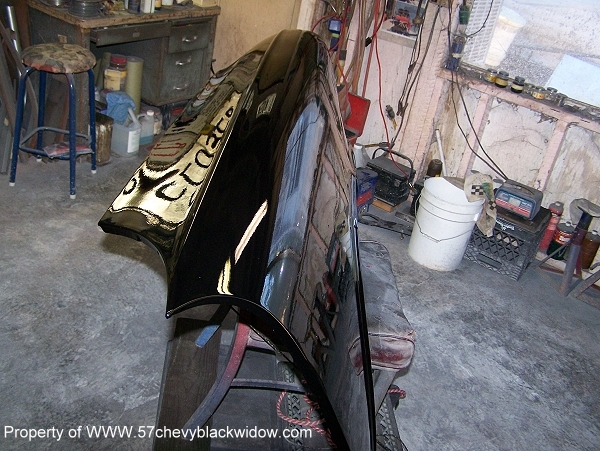 These are beautiful and show what can be accomplished in old school painting without the modern clear coat system.